Throughout the history of the Forest History Society (FHS), four very talented men have led the Society with vision, enthusiasm, and dedication. Responsible for selecting highly trained staff, liaising with our Board of Directors, and overseeing FHS programs in research, publication, education, and special projects, these presidents have collectively ensured the Society's continuing legacy as a leader in the field of forest, conservation, and environmental history. Below are brief biographies of FHS founding president Rodney C. Loehr, his successor Elwood R. Maunder, longtime FHS president Pete Steen, and our current president, Steven Anderson. Please note that until the mid-1990s the professional title of our president was "Executive Director" and the chairman of the FHS board was referred to as "President." Rodney Clement Loehr (1907-2005) received from the University of Minnesota a bachelor's degree in 1930, a master's degree in 1931, and a Ph.D. degree in history in 1938. He worked first as an instructor and later as a full professor for the University of Minnesota from 1938 through 1975. From 1946 to 1950 Loehr served as the founding director of the Forest Products History Foundation (Forest History Society) during its first critical years as a project of the Minnesota Historical Society. While executive director of the Foundation, he focused his efforts especially on the publication of articles and books about logging and log transportation, building a strong foundation for publishing forest history that has sustained momentum at FHS for more than half a century. Under his guidance, the Foundation also developed its reputation as a leading scholarly institution devoted to collecting primary sources (archival records) of forest products industry history. Loehr resigned as executive director of FHS in 1950 to return to teaching university courses full-time. 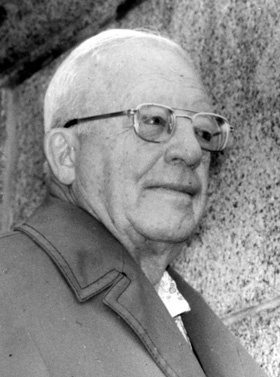 Elwood Rondeau Maunder (1917-2011) graduated in 1939 from the University of Minnesota with a journalism degree and worked as a war correspondent during World War II. He obtained a Master's degree in modern European history from Washington University in St. Louis in 1947. 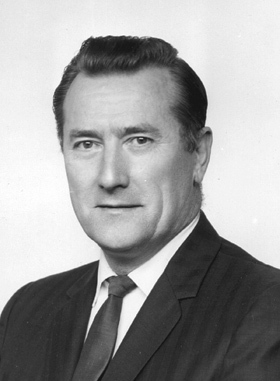 In 1952 Maunder became the second executive director of the Forest Products History Foundation. In the 1950s Maunder started the Foundation's oral history interview program, founded the Foundation's scholarly quarterly journal, and began building the Foundation's archival collection. He started a program that designated almost fifty archival repositories around the United States and Canada as "certified archival repositories" of forest history and helped place important historical records in the care of said repositories. Under his leadership, the Foundation broke away from the Minnesota Historical Society in 1955 and incorporated as an independent nonprofit organization under the name "Forest History Foundation;" four years later the name changed to the "Forest History Society." FHS changed affiliations a couple of times during Maunder's tenure, first moving to Yale University in 1964 and then to the University of California at Santa Cruz in 1969. In 1968 the Society inaugurated an endowment fund, which would become crucial for the financial health of the organization. In 1977 Maunder took a sabbatical to work on writing projects. A year later he tendered his resignation as executive director and officially retired several years later. He passed away January 21, 2011 at his home in Aptos, CA. Pete Steen (1935- ) earned a bachelor's degree in forestry from the University of Washington in 1957 and worked several years for the United States Forest Service before obtaining a Ph.D. in history from the University of Washington in 1969. Steen joined the staff of the Forest History Society in 1969 as associate director for research and library services. 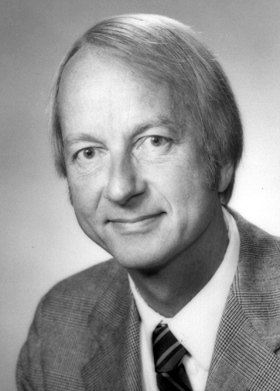 In 1978 Steen became the Society's third executive director when Woody Maunder resigned. During his tenure as executive director, Steen conducted numerous oral history interviews for the Society, wrote and provided editorial direction for the Society's growing body of publications, and expanded the Society's archival holdings while building important ties with the United States Forest Service, forestry organizations, conservation groups, and corporations. Steen led the Society into the computer age, overseeing the conversion into database format the Society's two primary reference sources--its Bibliography and Guide to Archival Collections. He directed the Society's 1984 move to Durham, North Carolina, and established an affiliation with Duke University, where he served as an adjunct professor until 1999. Before retiring in 1997, Steen negotiated a partnership with the American Society for Environmental History, with whom FHS began co-publishing Environmental History in 1996. The Society's "Issues Series" publications and If Trees Could Talk middle school environmental education curriculum also began under Steen's direction. 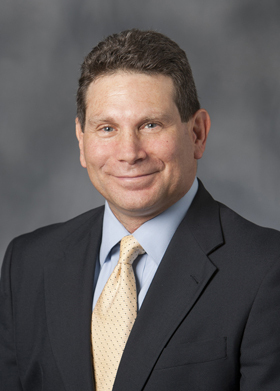 Steven Anderson's (1956- ) educational background includes a 1977 Bachelor of Science degree in forest management from Rutgers University, a 1979 Master of Science degree in forest soils from the University of Washington, and a 1987 Ph.D. in forest economics from North Carolina State University. Anderson worked in forestry positions with the United States Forest Service in Oregon and with Native American community groups in Alaska prior to becoming a forestry professor at Oklahoma State University (OSU) in 1991. While employed at OSU, he served as leader of the university's Extension Forestry, Wildlife and Aquaculture Program. In 1997 Anderson succeeded Pete Steen, becoming the fourth president of the Forest History Society. Under his leadership the Society has pursued numerous programs in digitization, publication, environmental education, and research, many supported by grants obtained by Anderson. He works closely with leaders of the American Society for Environmental History to ensure the highest quality in our joint publication - Environmental History. During his tenure as executive director, Steve Anderson has continued to build strong cooperative relationships with forestry associations, the United States Forest Service, and corporate forestry leaders interested in preserving the history of their industry. 1 "Founding Director Interviewed: Rodney C. Loehr Remembers FHS Beginnings," The Cruiser 13:4 (Winter 1990): 1; Harold K. Steen, The Forest History Society and Its History (Durham, N.C.: Forest History Society, 1996);Directory of American Scholars, seventh edition, Volume 1: History (New York: R. R. Bowker, 1978), p. 417. 2 Henry Clepper, "[Biographical Sketch of] Maunder, Elwood Rondeau (1917- )," Leaders of American Conservation, edited by Henry Clepper (New York: Ronald Press Company, 1971), p. 224; Harold K. Steen, The Forest History Society and Its History (Durham, N.C.: Forest History Society, 1996). 3 Harold K. Steen, The Forest History Society and Its History (Durham, N.C.: Forest History Society, 1996); Steen curriculum vitae.